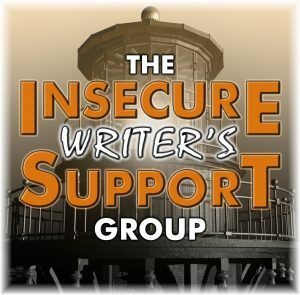 Thanks to the suggestion of my friend Gail Baugniet, former President of Sisters in Crime Honolulu, I recently signed up for the Insecure Writer’s Support Group. Aloha from Hawai’i to all my insecure writer sisters (and misters) friends out there. In this post, I’ll do my best to answer the September 6 question: Have you ever surprised yourself with your writing? For example, by trying a new genre you didn’t think you’d be comfortable in?? Well, I suppose it’s not actually a new genre, but for sure it’s a new format. In a recent online Creative Nonfiction Writing Boot Camp class taught by the excellent teacher Rhonda Miller, she challenged us to write in a different format than we’d written in before. 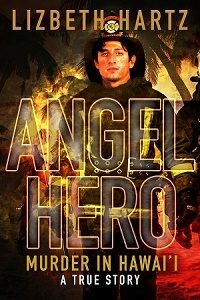 I’ve been published in many different formats: my memoir (Angel Hero, Murder in Hawai’i, A True Story), a mystery short story (Palm It Off On Murder), the lyrics for my song Angel Hero, and over 150 non-fiction magazine articles. Somehow, I finally shut IC up and started playing with a podcast/radio drama format. Since I’ve been trying my hand at writing a screenplay adaptation of my book for many moons now, I took a scene from that and tried to re-sculpt it into a podcast or radio drama. Did I succeed? I’m trying to make it so it will stand alone and make the listener want to hear more. I feel insecure about it because it’s my first shot at a new format. Won’t you tell me if it works for you? I’ll check out your posts tomorrow, my fellow IWSG bloggers. But right now the Hawaiian trade winds are howling outside my window and I’m grateful they’re only trade winds and not a hurricane. Praying for your safety and wishing you sweet dreams. This scene takes place in the dispatch office of Whaler Air Force Fire Department on Oahu. Liz and Irene are dispatchers and friends. Vic and Jaku are firefighter buddies. LIZ: I’m sorry I’m late for shift change, Irene. I’ll make it up to you. IRENE: Little mouse you broke up with big bad Billy? LIZ: I was so disturbed by his anger, something went through me like a force, like I never felt before. I didn’t hit Billy, but I let him have it. LIZ: Yeah, but he blew up at me and … split. IRENE: There, there. I always thought you could do better than that angry bum. LIZ GIGGLES, says shyly: To tell the truth, something Vic said motivated me. IRENE: Oh? What did Adonis say? LIZ: Pussyfooting around ain’t no good way to live. Irene LAUGHS: Vic’s your personal counselor now? LIZ: We’re pals. He’s got my back. IRENE: Billy might come back if he just left a few nights ago. LIZ: No, it’s been two months now. Mum’s the word, okay? IRENE: Two months! Why didn’t you tell me? IRENE: Things’ll get better, you’ll see. LIZ: I’m okay. Time for you to head out. IRENE: If you want to keep it secret, wipe your eyes. Here’s some eye drops. Want some makeup? IRENE: That’s better. I’ll get the door. VIC: Your eyes are red, Liz … is it Billy again? Liz SNIFFLES: It’s just … oh, hi, Jaku. JAKU: Hey doll face. Ever tell you about the time in ‘Nam when a fire broke out in the galley? I was first on scene … Bombs falling all around, I put ‘em out with my trusty fire hose … whoosh, whoosh! VIC: Take a break, Snake? JAKU: Why you calling this fine lady a snake? VIC: ‘Cause she’s a yogurt teacher. VIC: All that yogurt makes her slither like she’s got no bones. JAKU: I’ll be your knight any old night. LIZ: I’ll take that break, Vic.